She did it! 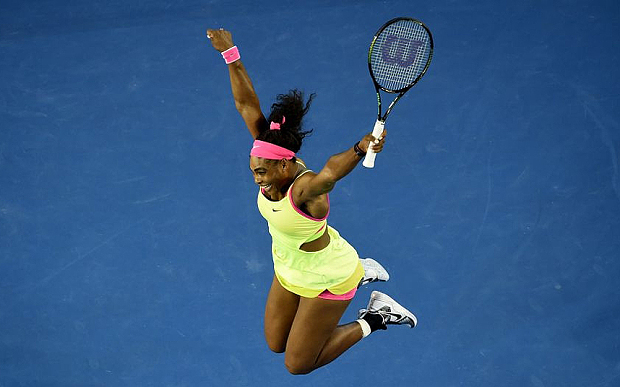 Serena has gone where only two other women tennis players have gone before, to the land of more than 18 grand slams. Get ready Helen Wills Moody, whose focus and drive helped her become the world’s leading female tennis player in the 1920s and ’30s ending with a career total of 19 grand slams. And watchout Steffi Graf, you with 22 singles titles that mark the record for most Major wins by a tennis player (male or female) since the introduction of the Open Era in 1968. Tennis history stand at alert cause the current World #1 is coming. 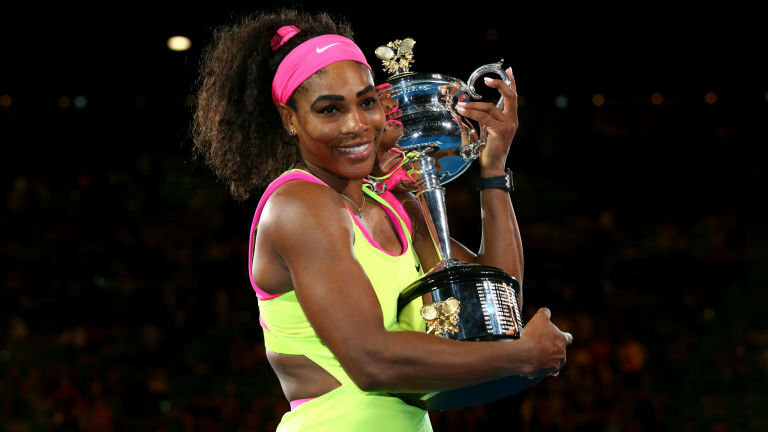 Still defying time and having conquered age; in fact the only rival Serena Williams has at this point in her career is history! After grabbing #19 while playing Down Under the past two weeks not feeling well, she leaped for joy. 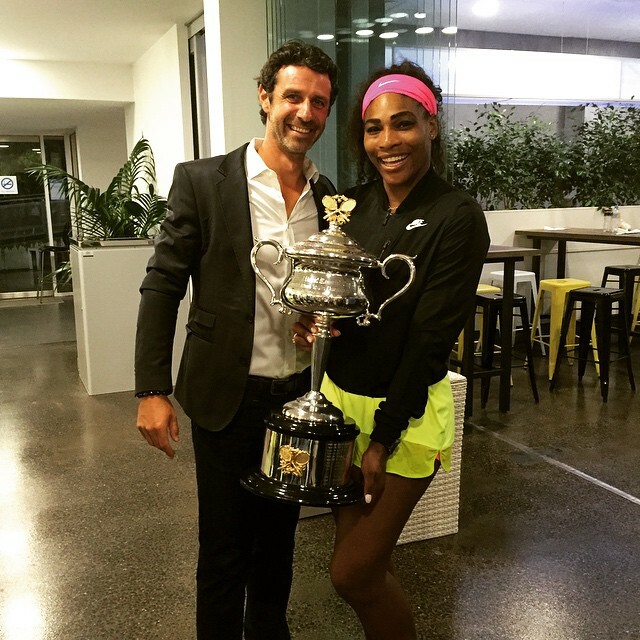 Love this photo of Serena with her coach Patrick Mouratoglou (The Mastermind), both with well deserved smiles after her history-making win at the 2015 Australian Open. Previous Article When they press PLAY in the 2015 Australian Open who will come not just to play…but prevail as victor?